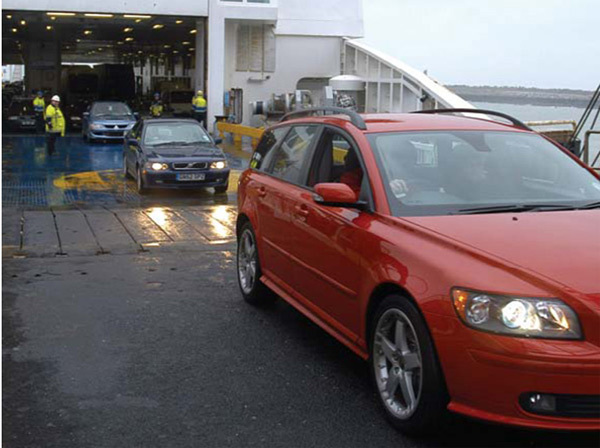 To make your trip safer and more enjoyable when driving in a country that you are not familiar with, Irish Advanced Motorists offers the following general guidelines. If you are considering driving your own car in a foreign country check with your insurance company in case you need additional cover, an International Driving Licence, Green Card or Bail Bond. Third party motor insurance is compulsory. If the vehicle is not registered in your name, you will need to carry a letter from the registered owner giving you permission to drive. Be sure to place your insurance company’s emergency contact number in your car. Always carry your driving licence (if your licence doesn’t incorporate a photograph you must carry your passport to validate the licence). You must also carry the vehicle registration document and certificate of motor insurance. Before setting off make sure that the car you are driving is roadworthy and that the headlights have been properly adjusted to avoid glare. Get the car checked, especially the filters, belts, fluid levels and have the oil changed. Check the condition of your wiper blades. Check the operation of your turn signals, brake lights as well as the high and low beams. Examine the tread on your tires. Make sure your car is prepared for the weather it will encounter on your trip. Pack an emergency First Aid kit in your car. Include motion sickness medication if anyone in your group suffers from it. Visibility Vests are now compulsory in Italy, Austria and Spain (and likely to become compulsory throughout the EU) if you need to walk on a motorway. It is recommended that you carry a warning triangle in case of breakdown. When you arrive, remember driving on the opposite side of the road will seem strange so extra concentration is required. Be especially careful when leaving service stations, rest-stops or when you are a few days into your trip as you may revert to your normal driving pattern. Make sure that you know and obey the rules of the road and road signs in the country in which you are travelling. Most countries have different rules and regulations, being a tourist may not get you off the hook. Regarding road signs, remember the general rule- triangles warn, circles prohibit and rectangles inform. Look at maps and plan your route thoroughly. Research the roads you’ll take. You’ll especially want to know if you’ll be travelling through areas of major road construction. Ensure the maps you are using are up-to-date. Check the roads before you go! Always remember that overtaking is a difficult and potentially dangerous manoeuvre. Driving a right hand drive car on the ‘other’ side of the road means that you are not in the best position to see ahead. Always remember the decision to overtake is yours – do not rely on the judgement of the passenger in the front seat. Speed limits are implemented rigorously abroad. Radar traps are frequent. In France, anyone caught travelling at more than 25km/h above the speed limit can have their licence confiscated on the spot. ·Do not drive too far without a break – tiredness can kill. Take a break every two hours and, if possible, change drivers regularly. Make estimates of travel times along the route, so you’ll have an idea when you’ll be at certain points on your trip. This will help you to plan rest and meal stops. It will also help you plan to avoid travelling through a major city or area of road construction during rush hour. ·Be careful when using rest stops along the road. Pass them up if they aren’t well-lit or seem unsafe. Well-lit, busy gas stations can provide a safe place to take a quick break. Truck stops are designed to provide a safe place to take a break. Remember to lock your car doors when you go inside. Since many rest stops suffer from criminal activity, you should always accompany your children into the restroom at a rest stop.